Spend a day exploring the rain forest and waterfalls found in the mountains above Jaco beach for a nature-filled escape from San Jose. Visit a private nature reserve where your guide leads a hike through virgin rain forest with a river and several waterfalls. 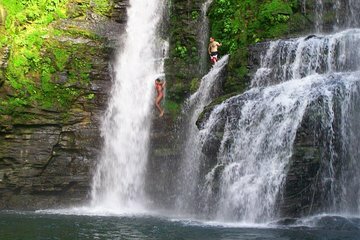 Learn about the animal and plant life of Costa Rica, and take a dip in natural pools along the way. Lunch is included.